St.Lucia has become one of the top Caribbean destination islands to spend your honeymoon. Here is how one our travelers enjoyed her honeymoon on this paradise island. Hope this helps you with your decisions when choosing an island to explore with your special someone. I always dreamed about the picture perfect honeymoon with my husband. St.Lucia was the best choice we could have made. From the incredible resorts to the fun attractions and stunning views. Read below to find out all of the most beautiful places to visit and things to do while you are in St. Lucia. We certainly recommend it for honeymooners everywhere. We started our trip where heaven meets earth in Sugar Beach Viceroy luxury resort. The lush landscaped grounds sweep down to the gorgeous white sand on Sugar Beach and the view of the crystal blue Caribbean Sea is truly a site to never be forgotten. The staff truly felt like family by the time it was time for us to head to our next destination. Located in between the world famous Pitons, the resort has a beautiful spa, water sports, tasty restaurants and so much more. After spending the first day on the beach, we were ready for some adventure. We decided to take a boat ride. Our wonderful new found friend Daisy took us out for an exhilarating boat ride to see the most incredible views of the Pitons, the bat cave, Burger Beach and more. This was quite possibly one of my favorite parts of the entire trip. On our last day in Sugar Beach, one of the staff members offered to take us to the top of the mountain to snap some photos of the sunset and those are memories that we will have for a lifetime to come. After our 3rd day at Sugar Beach, it was time to switch locations to experience another one of the beautiful resorts in St. Lucia. Jade Mountain rises majestically above the 600-acre beach front and was truly the most beautiful room and living space we have ever seen. Each room is equipped with its own private infinity pool and the 4th wall is entirely absent. The amazing views and outdoor feel was something we both loved. Our favorite place at Jade Mountain was the rooftop terrace restaurant. The service was second to none and the chef was so accommodating to my seafood allergies. Sitting on the rooftop with the most beautiful view in the world was a breathtaking site. We even met an amazing friend, Milan, who told us so much about the beautiful island and all it has to offer. Being a dancer, I love yoga. I can honestly say that I have never exercised in a more gorgeous setting than on the top of the Jade Mountain resort. My husband and I then took a boat ride to take part in the Mud Bath. We had heard so much about this and everyone told us we had to do it. It was AWESOME. They took us to a beautiful waterfall afterward and we finished our trip on the greatest note. 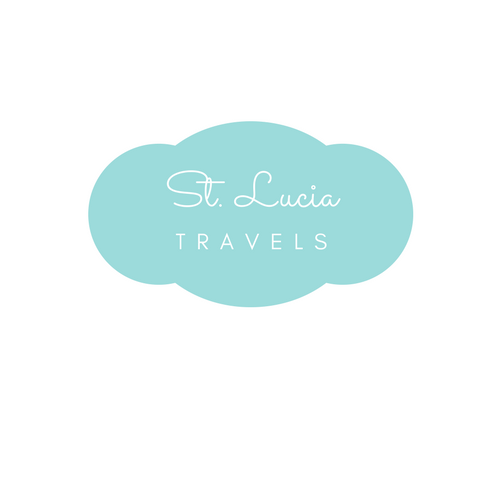 We would not have this amazing blog if it were not for our travelers to St.Lucia. Please continue to send me articles about your time spent in St.Lucia. We would love to feature you and show others the fantastic time you had on this paradise island. Wanna learn more about Linley Mayer and what she is been up do after her amazing honeymoon in St.Lucia, Follow her on Instagram. Marigot Bay St.Lucia- The Caribbean Destination for you!! !